“An announcement that dissident groups have formed a single, new version of the IRA has been dismissed as a publicity stunt. Sources in the new organisation told the Belfast Telegraph that they had joined forces to end “the confusion” in republican heartlands created by the existence of a myriad of dissident groups, and that they would target police officers and soldiers. The Real IRA, Republican Action Against Drugs (RAAD), and a group of independent republicans — responsible for the Massereene soldier killings and murdering police officer Ronan Kerr — have merged to form a single organisation calling itself the IRA. The formation of a single, new IRA has its roots in co-operation between independent republican prisoners and Real IRA inmates in Maghaberry prison. The two groups had formed an increasingly close and friendly working relationship in the jail. On the outside, there had also been growing co-operation between the Real IRA and independent republicans. The Real IRA provided the weapons for Massereene, but the attack was carried out by independent republicans. This group of independent republicans — made up of ex-Provisional IRA members who had also called themselves the IRA — had recently posed the deadliest threat to the security forces. They were responsible for the attempted murder of PSNI officer Peadar Heffron and the murder of Constable Ronan Kerr. This group — along with the Real IRA and RAAD — decided to bring their co-operation to a new level by dissolving their organisations to form a new, single entity. Sources said that moves to stand down the three groups in order to set up a single, combined command structure and army council began in January. Each group brought its separate “strengths” to the merger. The Real IRA had a sizeable membership across Northern Ireland and in parts of the Republic — with a high proportion of young activists. It was the best armed of the three organisations. The independent group of republicans — which almost entirely consisted of seasoned ex-Provisional IRA members — brings with it a range of deadly expertise and experience. The Continuity IRA and another republican paramilitary group, Oglaigh na hEireann, will continue to exist separately. It seems that the Real Irish Republican Army (RIRA), Republican Action Against Drugs (RAAD) and members of one or more independent Republican groups that may have operated under the name of the Óglaigh na hÉireann (by this stage a sort of general title for the Republican Resistance) have come together to form a single military force, with a unified command-and-control and membership. Meanwhile at least two other Resistance organisations have declined (or were not invited) to join the new movement. One is the Continuity Irish Republican Army (CIRA), an organisation that came into existence following a minor spilt in the Provisional IRA during the 1980s, largely over the recognition of Dáil Éireann and any future northern assembly by Sinn Féin. It has always retained a less than amicable relationship with other Republican organisations believing itself to be the one and only IRA and all others illegitimate claimants. In the last three years it has been rent by internal rivalries (personal and ideological), not to mention infiltration by criminal elements who have exploited its structure and membership to pursue their own non-political ends. This has affected the group’s alleged political wing too, Sinn Féin Poblachtach (better known as Republican Sinn Féin or RSF), a miniscule Republican party that manages to draw some traditionalist Republican support in Ireland, Europe and the United States far out of proportion to its influence. At the moment even seasoned observers of Republican politics find it difficult to know who exactly is in charge of CIRA and RSF since there are several rival and bitterly opposed claimants. 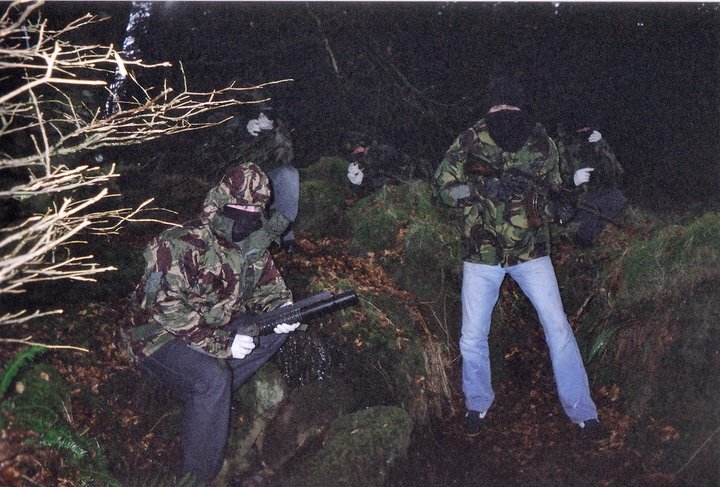 The second organisation outside the new IRA structure is a group of independent Republicans who have also operated under the title of Óglaigh na hÉireann (ÓnaÉ) for the last few years. They seem to have a very loose structure, largely based upon personal relationships and knowledge stemming from military careers as former Volunteers of the (Provisional) Irish Republican Army or (P)IRA. Classed as veteran guerrillas this group is viewed by some as the one with the greatest immediate military ability, though this is counteracted by a lack of members, weapons and equipment (though, apparently, not communal support). Whether this organisation can transcend its present situation and become a formal insurgent force is highly debatable and it remains unclear if that is even the intention of its membership. The reasons why it rejected overtures to join the “new IRA” are also unknown, though suspicions about the motives of those involved in the RIRA may have in part motivated this refusal, as well as more personal or ideological concerns (in my first article I expressed scepticism about some of those operating under the ÓnaÉ banner joining the new movement and this seems to have been borne out by recent news reports). One thing apparent though is the power of the name Irish Republican Army, and the view of most Resistance Republicans that continued military opposition to the British Occupation in Ireland is given greater legitimacy through its use. Even Óglaigh na hÉireann, “the (Military) Volunteers of Ireland”, the preferred official name of the IRA in the Irish language is secondary in import to its English form (for some at least). As always with Irish Republicanism the importance of legitimacy cannot be underestimated.